The purpose of mold damage remediation is to eliminate any mold growing inside the house and to prevent exposing you to large amounts of mold. It is easy to ignore a simple pipe leakage when it happens, but the results can be costly. Dripping water from burst pipes can penetrate the walls and eventually find its way onto carpets and other house items. Failure to dry these items within 24-48 hours can lead to mold and mildew growth. These fungi thrive in moist environments. In the house, they can grow on cardboards, ceiling, tiles, wood products, foods, plants, fabrics, drywall, carpets, and other materials. While they have their purpose in nature, they can cause health effects. 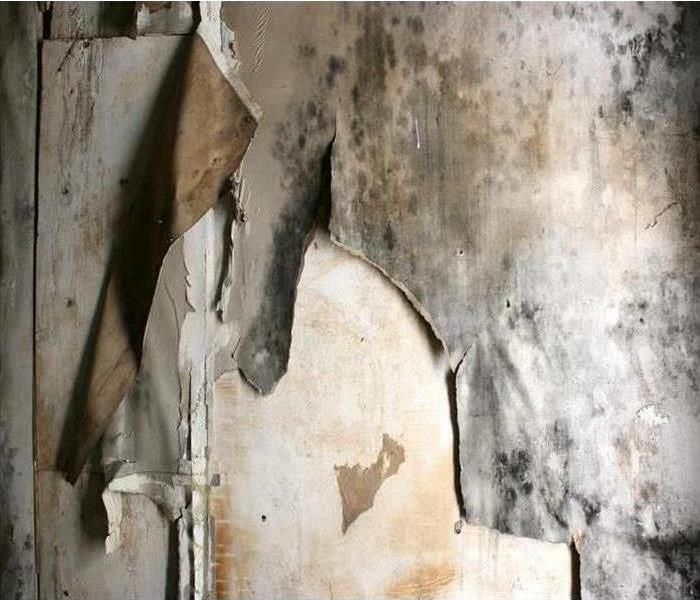 Following a water damage incident, it is important to have a mold remediation company check your house for mold growth. If you are looking for mold damage control services in The Spokane Valley, SERVPRO has qualified technicians with adequate equipment for the job. Our techniques are up to par with IICRC recommendations, and our emergency response is quick and efficient. Water damage situations provide an excellent environment for mold growth. Molds feed on organic materials such as natural fibers, drywall, paper, and wood. Additionally, they thrive in typical building temperatures of between 68 and 86 degrees F (meaning either extremely hot or cold temperatures). Some can survive in low relative humidity levels (up to 65 degrees low), but most prefer lots of moisture. To control their growth, our technicians use different equipment to reduce the RH to below 60%. The purpose of mold damage remediation is to eliminate any mold growing inside the house and to prevent exposing you to large amounts of mold. To do this effectively, SERVPRO technicians have to calculate the extent of the contamination. Indeed, mold does not always grow in one place. Based on our calculations, we can determine the most efficient method and products to use. The idea is to stop the water source, remove all moisture, and dry the area completely to avoid future mold growth. Air movers are particularly useful in drying a mold-damaged area. They create airflow at the surface level, allowing moisture into the air in the form of vapor. Drier air fills up the vacuum created, thus accelerating evaporation. Molds may (or can) cause health effects if not addressed. As a locally-based water damage restoration company, SERVPRO of The Spokane Valley can arrive quickly to control the mold damage. Call us today at (509) 926-6140. Water, fire and mold losses present challenges that are unique versus residential losses. Flooding and water damage events at Spokane Valley-area commercial properties are often complex with numerous issues that require a knowledgeable and flexible response. Whether we’re dealing with a relatively small water cleanup scenario or a large scale event, we work quickly to assess each unique situation and isolate the damaged area. Many business owners understand that the business downtime can be more devastating to the property damage -- we understand that many times the most important thing to Spokane Valley-area businesses is to get back in business . . . fast. 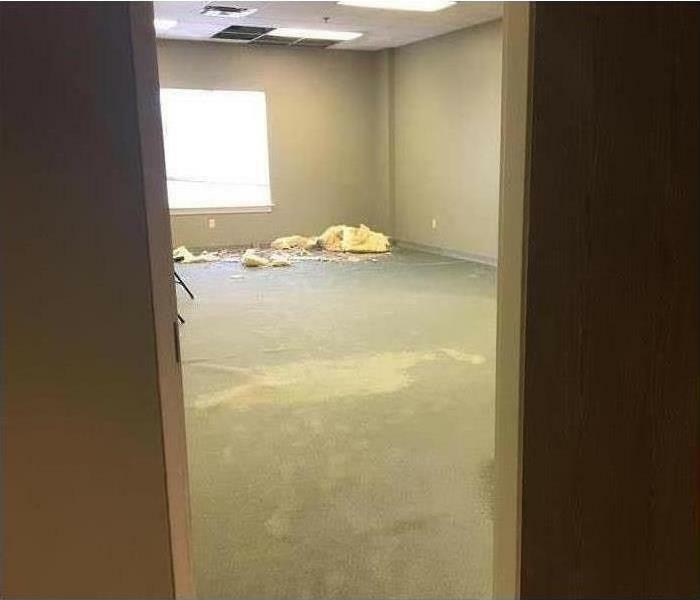 SERVPRO of The Spokane Valley specializes in the cleanup and restoration of commercial and residential property after a water damage event. Our staff is highly trained in property damage restoration. From initial and ongoing training at SERVPRO’s corporate training facility to regular IICRC-industry certification, rest assured our staff is equipped with the knowledge to restore your property. We can be reached at (509) 926-6140. Do NOT Let Your Pipes Freeze! Which Pipes Are Vulnerable to Freezing? So What if Your Pipes Freeze? 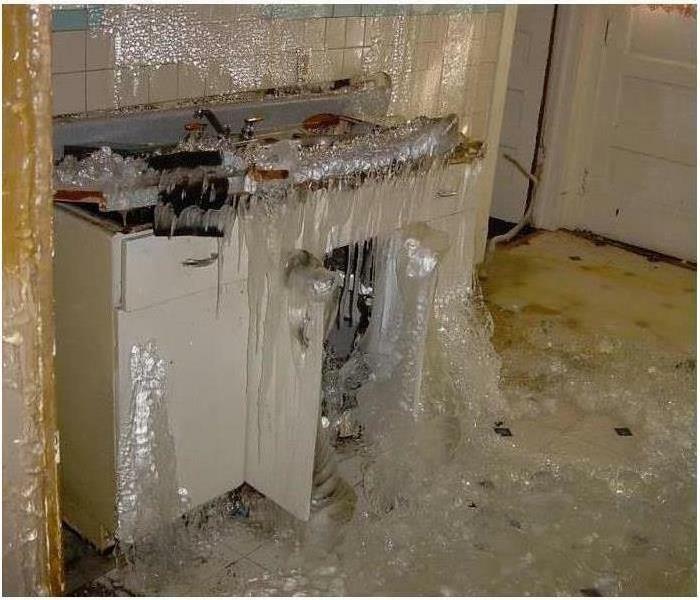 When temperatures drop, water freezes and expands causing pipes to burst. A burst pipe can result in a water leak. Ruptured pipes and water damage can cost thousands of dollars to repair. The amount of damage depends on where the burst occurs, how long it takes to catch the problem, and how much water is leaking from the pipe. Insulate pipes on the outside of your home . When temperatures drop, open your faucets to a slow dribble. Open cabinets for warm air to circulate through your home. Keep the thermostat set to the same temperature during the night and day. If you leave your home for extended periods of time leave your heat on at 55 degrees. Turn off the main water valve. Call an IICRC certified restoration & mitigation company. Call us at 509-926-6140 if you have any questions or concerns. Check your business property for low hanging tree limbs and branches. Weather, such as wind, heavy rain, ice and snow, can cause branches to fall, which could cause damage to the property and potentially cause personal injuries. Inspect property, especially walkways and parking lots, for proper drainage to alleviated flood hazard potential. Inspect handrails, stairways and entryways to address and correct potential slippery or hazardous areas. Install mats or non-slip surfaces and post caution signs where water could be present . Ask our highly trained SERVPRO professionals about starting an Emergency Ready Profile for your business. Keep cabinet doors open during cold spells this allows warm air to circulate around pipes. Keep a slow trickle of water flowing through faucets , especially if the pipes for faucets run through unheated or uninsulated areas of your home. Consider shutting off outdoor faucets. Find the shut-off valve in the basement or crawl or crawl space and turn it to “off”. There are few things worse for a homeowner than finding water in the basement, especially when it’s not entirely clear where it’s coming from. Fortunately, water seeping through your basement walls isn’t always a cause for alarm. There are a number of potential causes for basement leaks, some of which have easy and relatively inexpensive solutions. As soon as you notice wet spots on your basement floor or wall, investigate the area around it to see if there are any obvious sources. 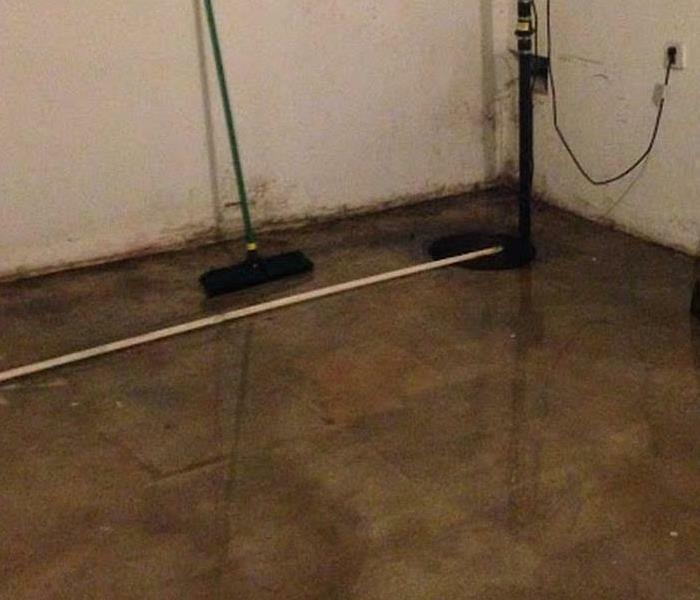 Signs of a basement water problem include small streams of water, damp walls, and puddling on the floor. The most common way that water enters a basement is through the foundation wall-floor joint. The wall-floor joint, also known as a cove joint, is one of the most common culprits of basement leaks due to the gap between the wall and floor. As the amount of groundwater builds up, such as during a heavy rainstorm, more pressure is placed on the joint, allowing water to seep in. The tops of your walls: Water can seep over the top of your basement walls when the ground surrounding your home is level or sloped towards your home. Wall cracks: Cracks in the wall are one of the most serious causes of basement leaks and often become apparent when it rains. These are fairly noticeable in unfinished basements, but in unfinished basements you’ll have to inspect the outside of the foundation for cracks that run through the wall. Floor cracks: As with wall cracks, cracks in your basement floor can also be a sign of a serious problem. Cracks smaller than an 1/8 of an inch wide are normal, but anything wider should be sealed. Tie rod holes: More common in older homes, these holes appear in poured concrete foundations where tie rods were used to hold wood planks together. Luckily, plugging these holes is a quick and easy repair. Window wells: The wells outside your basement windows may let water in when there’s insufficient drainage around your property or when your gutters aren’t working properly. Honeycombs: Poorly mixed concrete can sometimes create air pockets within basement walls, resulting in “honeycomb” marks along the wall. These bubbly patches are usually a minor problem and can be sealed up. Leaking pipes: Drain pipes are another possible culprit for basement leaks. Check your ceiling and walls for stains or mold. 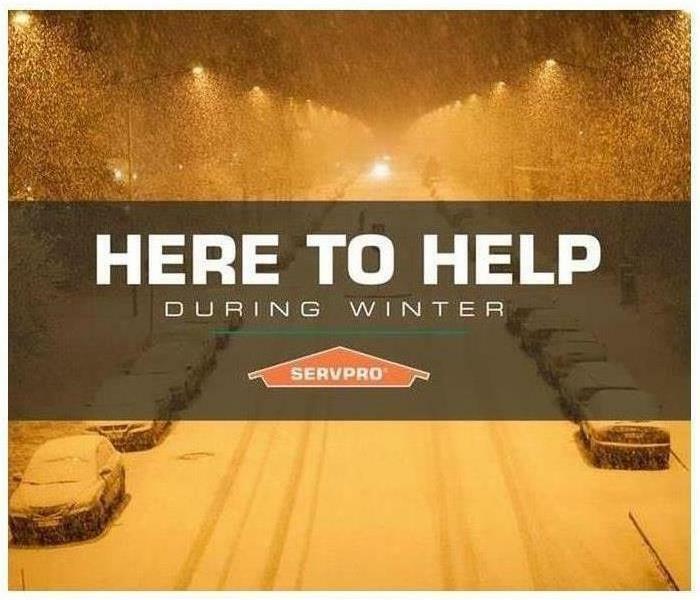 As water and storm damage specialists, SERVPRO of the Spokane Valley has the experience and advanced training that enables us to restore your property quickly. We use scientific drying principles and provide validation and documentation that your property is dry and the job is complete. When a major storm hits, it may overwhelm local restoration companies. SERVPRO Spokane Valley can scale our resources by accessing the equipment and personnel of 1,700 Franchises. We can also access Disaster Recovery Teams that specialize in major storms and catastrophic events. It’s a good idea to inspect all the pipes in your home at least once a year. Over time, pipes gradually corrode, rust, and decay, all of which can result in leaks. In severe cases, you could be facing a flood of water or raw sewage into your home, causing extensive—and expensive—damage. 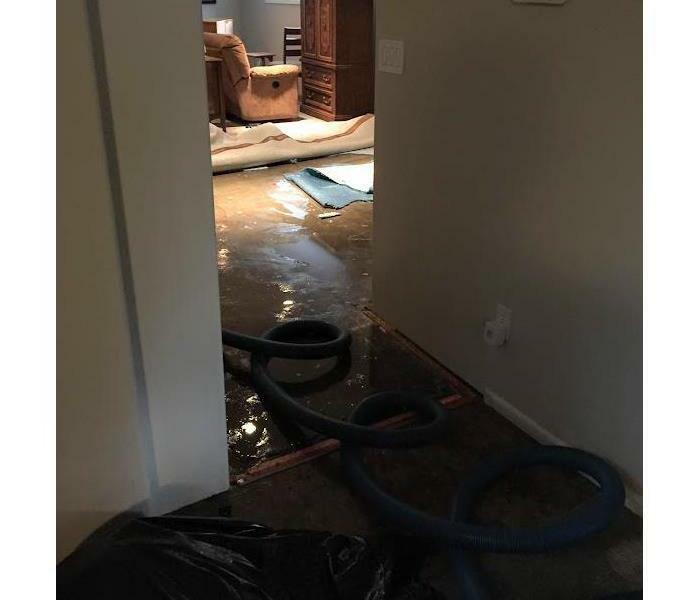 When your Spokane Valley home has water damage from flooding or leaks, you need the company that can respond immediately and has the expertise and equipment to properly restore your property. 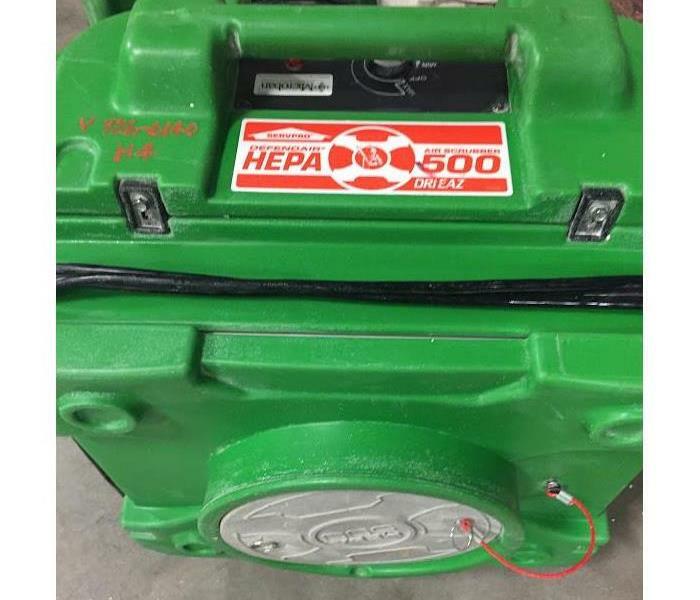 SERVPRO of Spokane Valley uses advanced water damage inspection and extraction equipment to help them find the moisture and to remove it as quickly as possible. Our highly trained technicians will monitor and document the drying process so that you know your property is back to normal. Water damage to your Spokane Valley home happens in the blink of an eye. It only takes a leak from an upstairs bathroom, and before you know it, you are struggling with water-logged carpets, wet furniture, and damp walls and floors. SERVPRO is on hand to remove water immediately and remediate the water damage to your Spokane Valley home so you can resume daily life “Like it never even happened.” However, there is more to remediation than drying out the affected area: There is also the question of how to remove the unpleasant damp smell afterward. SERVPRO of Spokane Valley understands the importance of restoring your home quickly. That is why we end every deodorization session by positioning powerful venting box fans to help remove odors and ensure your room smells fresh once more. For help removing damp and musty smells from your home, call SERVPRO of Spokane Valley at (509) 926-6140 today. Over 25+ years in your community! Snake your dryer duct at least once a year to prevent lint buildups that can cause fires. You'll want to clean off the lint screen after every cycle, and snake the dryer duct annually. This little brush kit will push the lint from one end of the duct to the other, making it a relatively easy job. You can also attach it to your drill if you want to give the duct a really good scrub. Inspect all the trees that surround your home for damage or bending that may point to a future break. a heavy branch can cause severe damage to your home. Be sure to prune trees (except during fall or when they are wet) to keep the weight evenly distributed, and examine the trees for cracks, awkward leaning, exposed roots, or irregularly browning leaves, which may be symptoms of illness or instability. Recaulk your bathroom every few years to prevent water damage. After about five years, you'll probably notice the caulk in your bathroom peeling, cracking, or breaking off completely. Once that happens, it's important to replace it in order to prevent mildew, mold, and water damage. Clean out your gutters twice a year to prevent water damage and pest infestations. You may need to clean the gutters more often based on the landscaping, but doing it during spring and fall is a good rule of thumb. It can be dangerous to do the job yourself, so you may want to hire a professional if you don't feel confident or safe about the process. If your pipes are prone to freezing, protect them with heating cables. Frozen pipes can split and crack, so prevention is a way less aggravating chore. Tape heat cables to exposed pipes, then wrap them in fiber glass. It's also a good idea to leave a tap dripping when it gets especially cold so the water stays in motion. Check to make sure smoke alarms are working and fire extinguishers are charged so you're always prepared for the worst. At very best, house fires are expensive to deal with and at worst, they can be deadly. 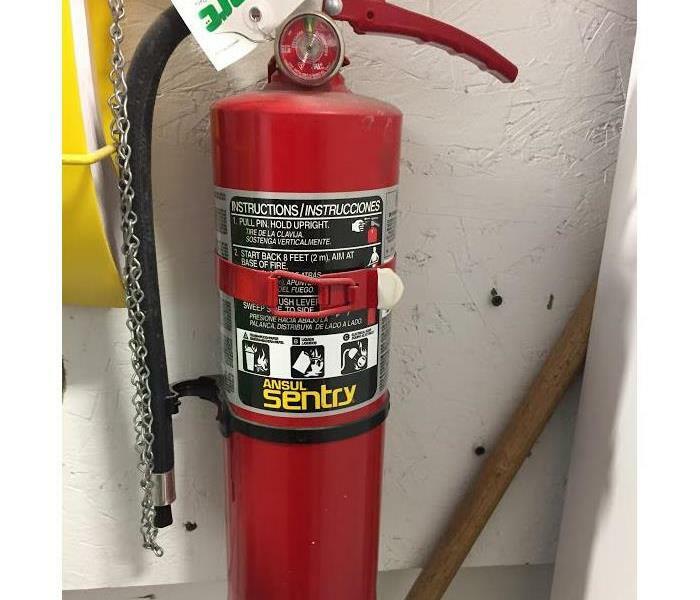 Best practice is to check the charge on your fire extinguisher once a month. Around the same time, you should hit the test button on smoke alarms so you know they're working. Once a year, you should replace the batteries, vacuum around the vents, and spray the outside of the alarm with insect repellent. And scrub down the range hood to keep your air clear and prevent a grease fire. The range hood does a lot of hard work in the kitchen, sucking up all the smoke and airborne grease droplets — or at least, that's what it's supposed to do. If it's not, you definitely want to give it a thorough cleaning. Start by wiping down the outside of the hood with soapy water whenever you clean the rest of your surfaces, then clean the filter every second month. To do so, just swish it around in hot, soapy water, then rinse it off and let it air-dry before re-installing it. While that's drying, spray the underside of the hood with an all-purpose cleaner, leave it to soak for a few minutes, then wipe it off with a wet sponge. SERVPRO of Spokane Valley specializes in the cleanup and restoration of residential and commercial property after a fire, smoke or water damage. We can also mitigate mold and mildew from your home or business, or simply clean your home or businesses carpets. Our staff is highly trained in property damage restoration from water damage, fire damage, smoke and soot damage, mold damage and storm damage. From initial and ongoing training at SERVPRO’s corporate training facility to regular IICRC-industry certification, rest assured our staff is equipped with the knowledge to restore your property. With a nationwide system of qualified Franchises, no damage is too large or too small for SERVPRO of Spokane Valley. 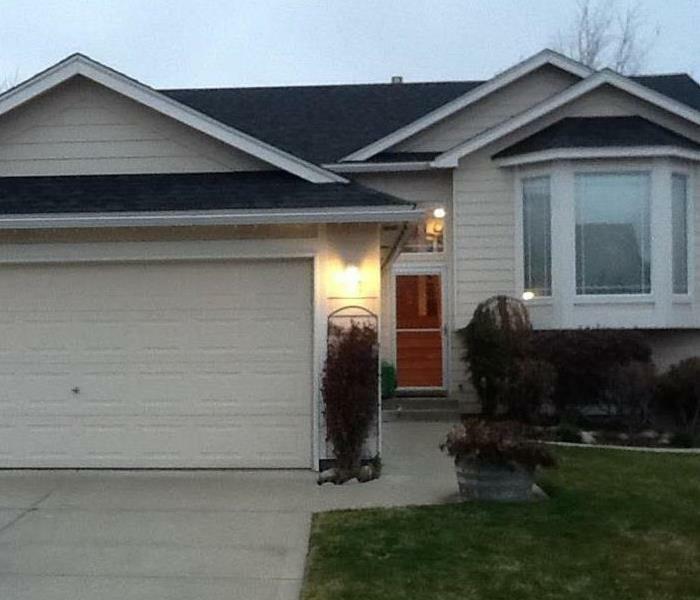 (509) 926- 6140 Always Open! SERVPRO Spokane Valley is locally owned and operated, so we are part of this community too. When you have a smoke or fire damage emergency, we’re already nearby and ready to help. We take pride in being a part of the Spokane community and want to do our part in making it the best it can be. Don't mow the lawn or allow kids to play outdoors when the air quality is compromised by wildfire smoke, even if that smoke is in the distance. Be aware of your area's Air Quality Index. Ratings of 51 and below are good. 51 to 100 is a moderate risk, while anything over 100 is unhealthy. If the Air Quality Index reaches 301+ it's hazardous. If your local authorities recommend staying indoors, stay indoors. Keep windows and fire place dampers closed and window air conditioning units on re-circulating mode. If told to evacuate, don't hesitate. Grab a limited amount of essentials and evacuate your area. Tip: A dusk mask will not protect you from breathing in smoke particles. The damage from a burning fire is easy to see on a home. The smoke from a wildfire can be equally damaging, but may not be as easily seen. However, it almost always can be smelled. Smoke damage to the exterior and interior of your home from a wildfire can be in the form of smoke stains as well as deeply permeating odors. Smoke odors can seep into drywall, woodwork, fabrics, carpet, books and other personal items. After the danger of the wildfire has passed and you're able to return to your home, it's time to call your insurance agent and the professionals at SERVPRO of Spokane Valley. Our trained teams will assess the smoke damage as well as any fire/water damage that your home may have suffered during the wildfire. We can determine an action plan for cleaning, restoration, and smoke removal. 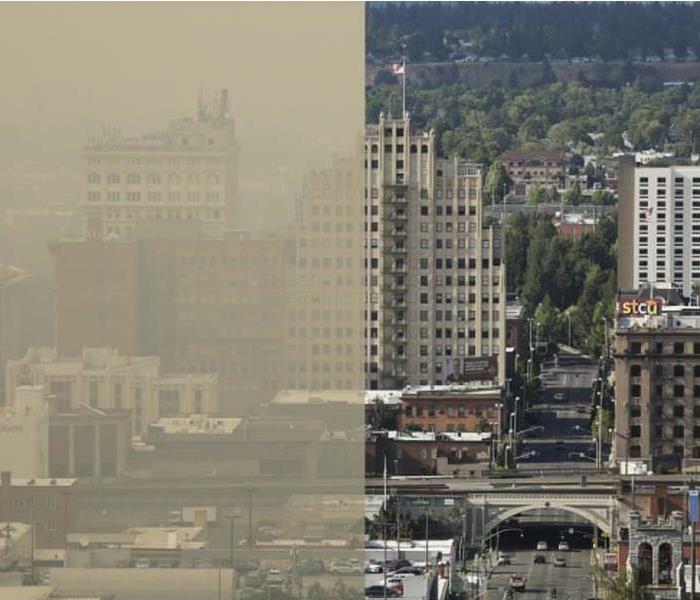 With state-of-the-art equipment, proprietary products, and professionals with years of expertise, SERVPRO of Spokane Valley can safely and effectively remediate wildfire smoke damage for your home. SERVPRO Spokane Valley is locally owned and operated for over 25 years, so we are part of this community too. When you have a smoke or fire damage emergency, we’re already nearby and ready to help. We take pride in being a part of the Spokane Valley community and want to do our part in making it the best it can be. 2/27/2019 - Are You Prepared for Winter Weather?